I’ve dreamed of visiting Morocco for as long as I can remember. 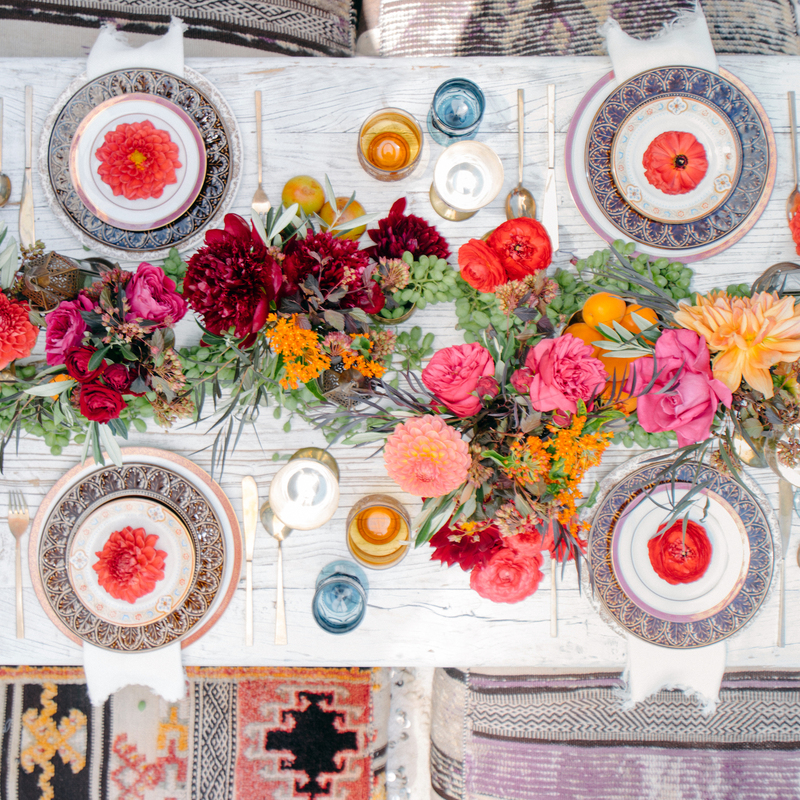 The first time I stepped into a Moroccan rug shop here in LA, I was captivated by the vibrant colors, the intricate designs, and exotic patterns. I’ve always wanted to explore the country’s endless flea markets and taste its rich, exotic cuisine. 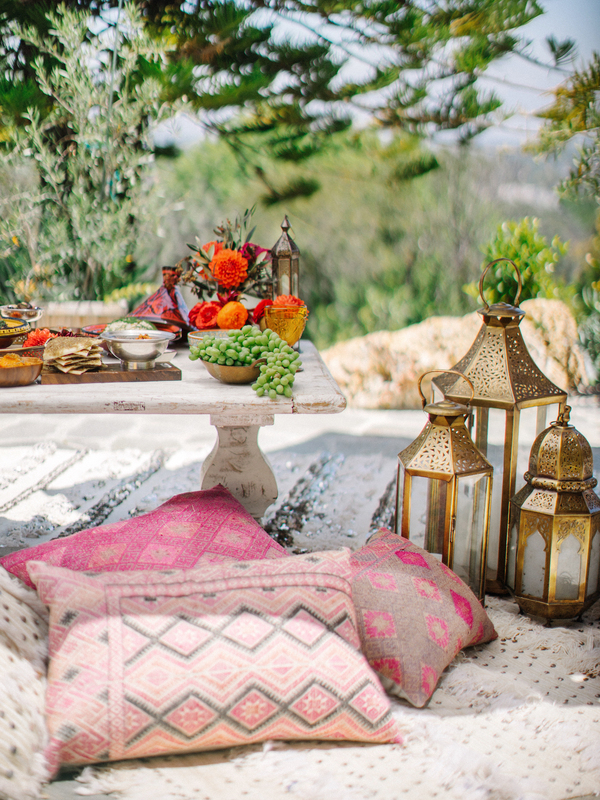 Inspired by my dream destination, I decided to create a Moroccan oasis in my very own backyard. It was a perfect summer day to host a picnic with friends. 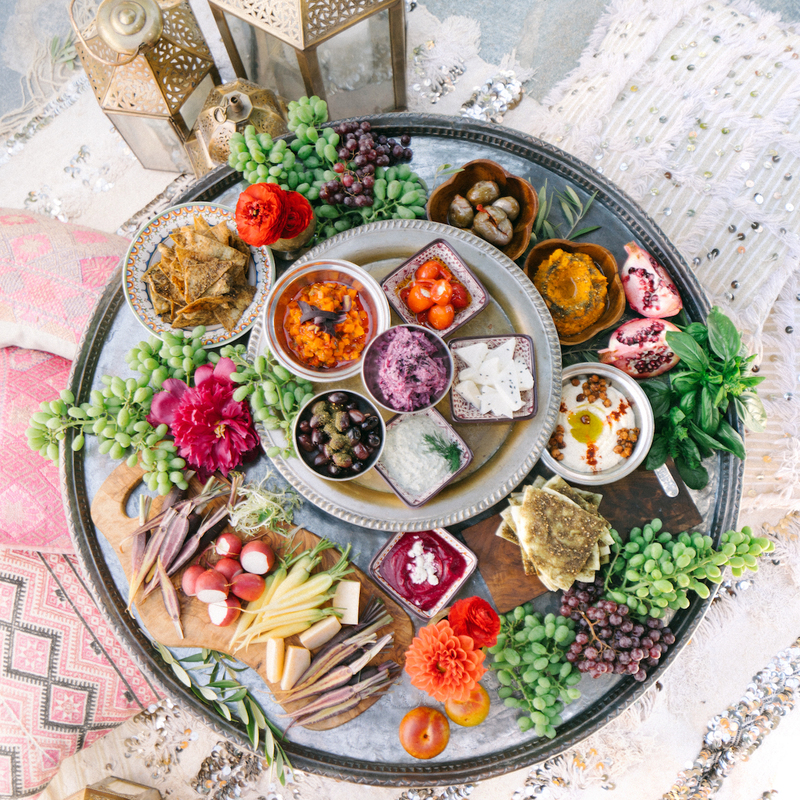 We hired Haute Chefs LA to come up with a three-course Moroccan menu, which was crafted completely from scratch to meet the theme of the event. 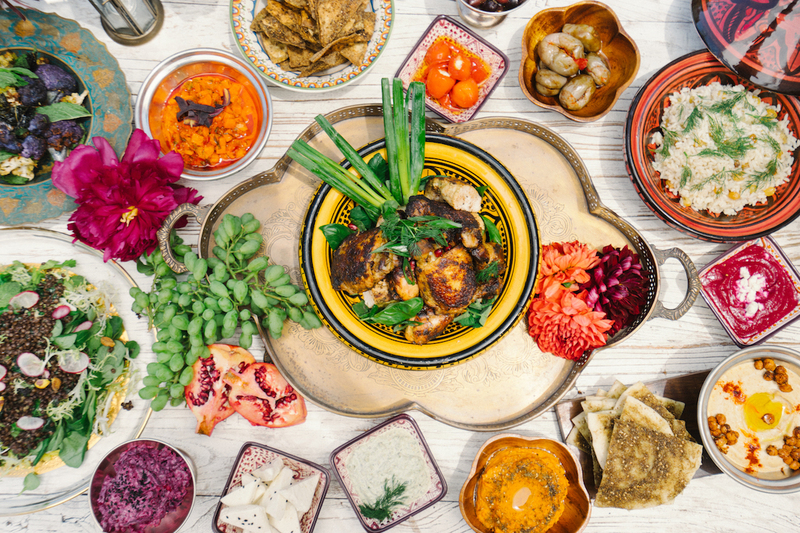 The meal started with a mezze platter of small dishes — a must-have before starting any Moroccan meal. The platter was filled with olives, hummus, and fresh garden vegetables. The chefs even created a stunning tower of fresh grapes, pomegranate and apricots, which got everyone really excited! 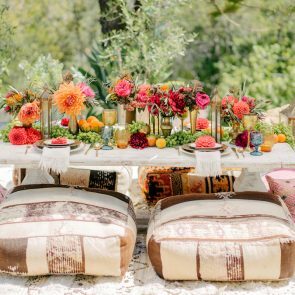 To glam up the picnic, I rented an authentic Moroccan wedding blanket, which was hand-woven from sheep’s wool, linen, and cotton, and decked in sequins. 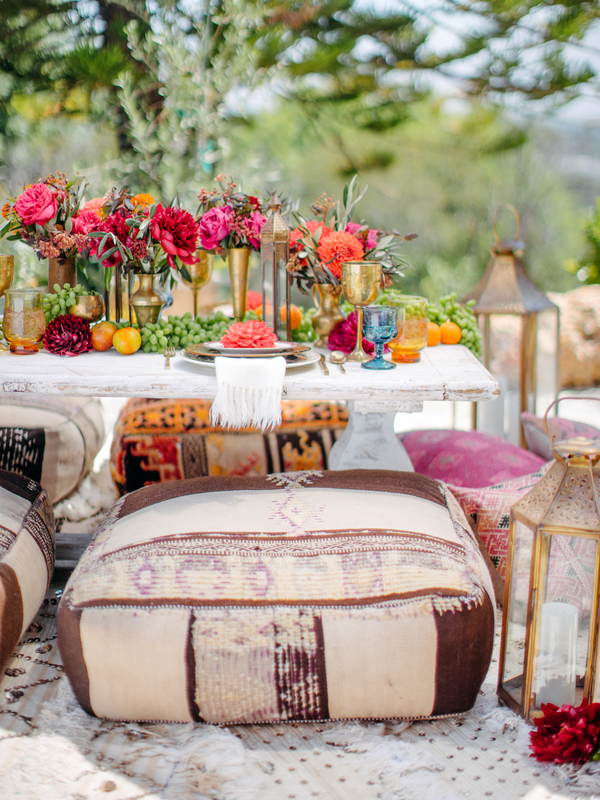 Moroccan-style lanterns were arranged around the table, creating a warm, welcoming glow after dark. 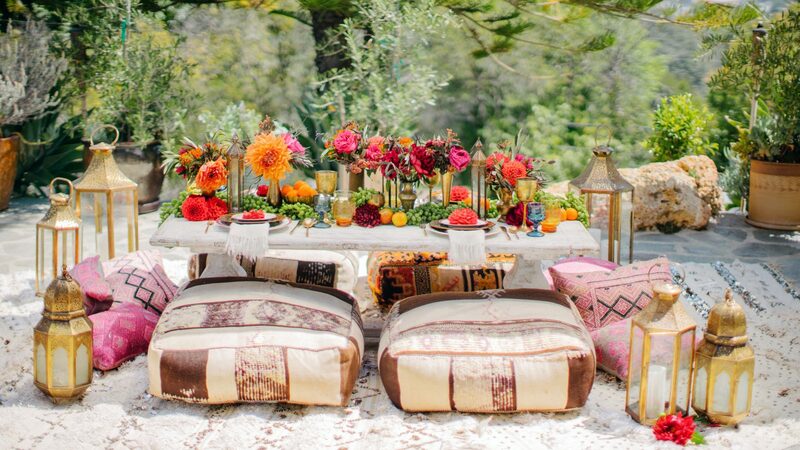 I added comfy pillows and throws into the mix for guests to lounge and relax, Moroccan-style. 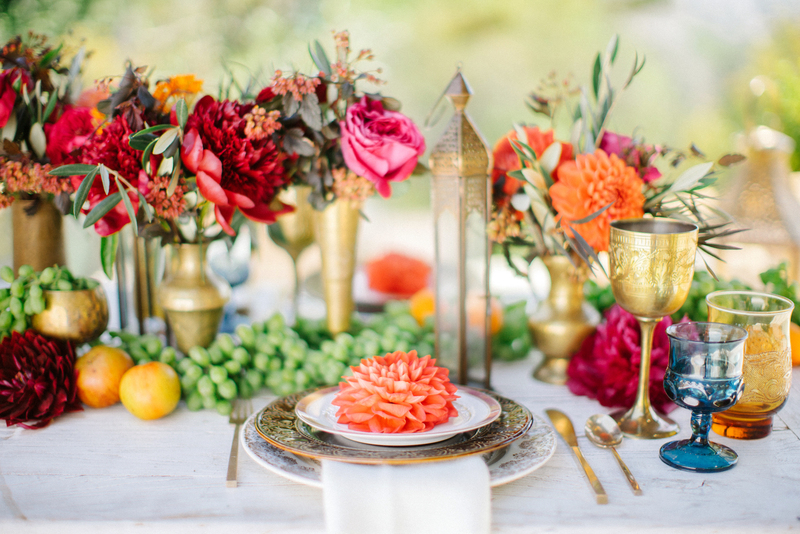 My friend Holly Flora created luscious bouquets made of orange dahlias, crimson ranunculus, olive branches, and fuchsia garden roses, which brought the tables alive in color. 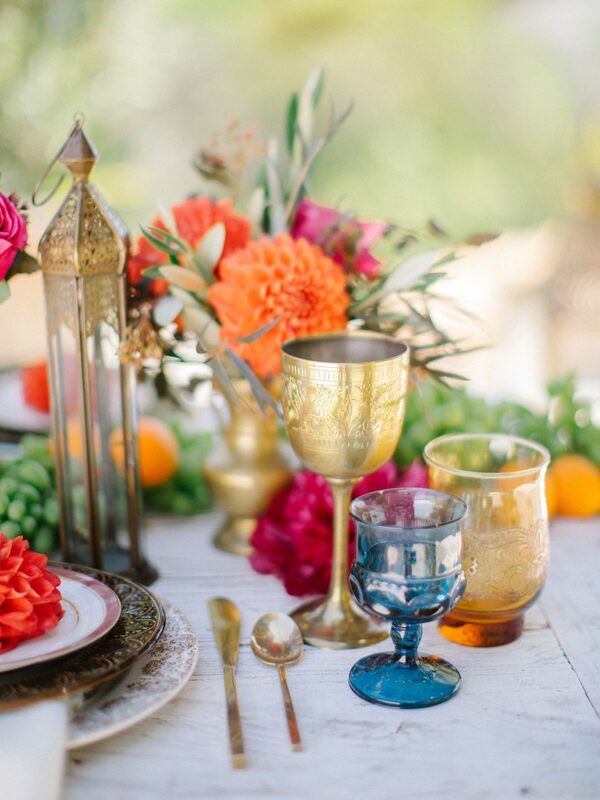 Brass goblets were placed between colored glasses and chinaware to create a dynamic, eclectic look. 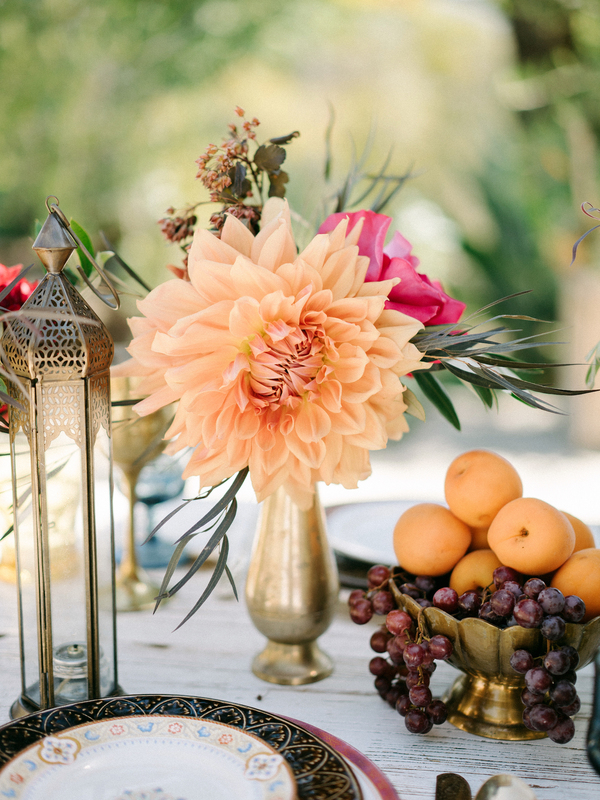 We even incorporated fresh grapes and apricots within the floral arrangements to create an organic and exotic look that matched with the menu. Along with hand-knitted napkins with pretty fringed hems completed our table setting. 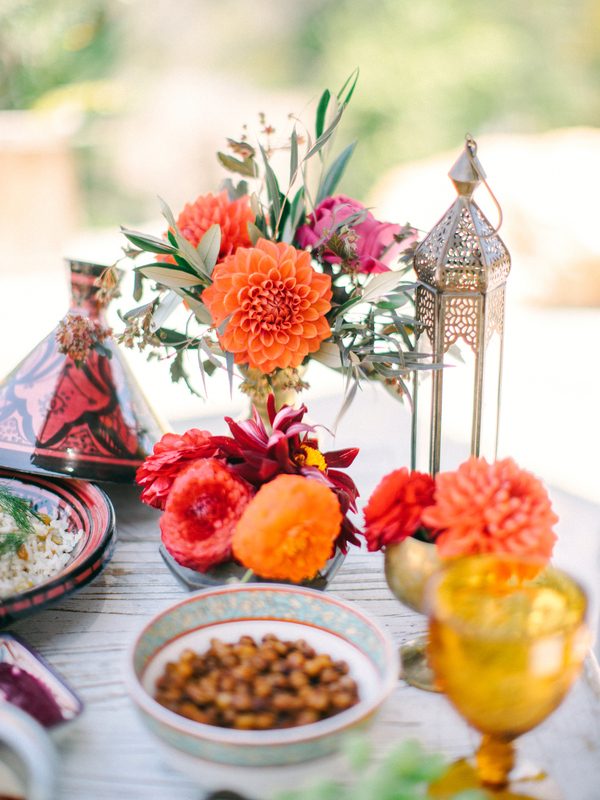 The picnic menu comprised of seasonal takes on Moroccan classics. 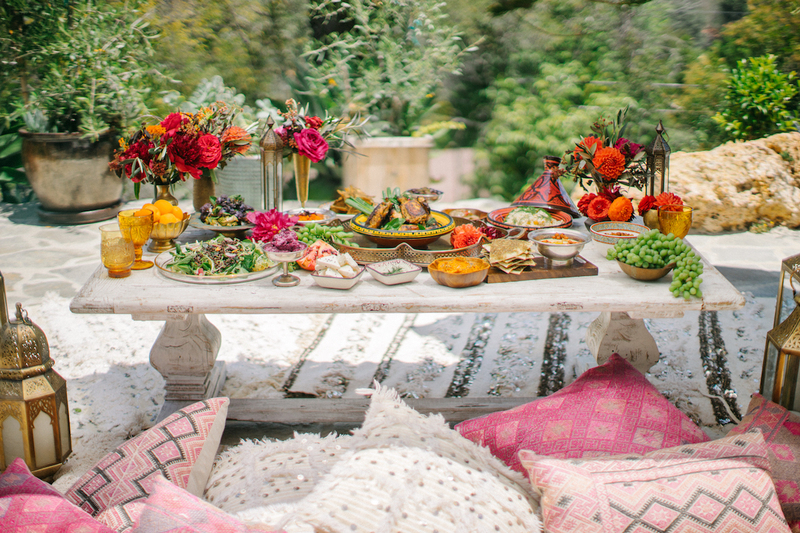 The spices, colors, and mix of veggies and dried fruit —it was a feast for the senses! 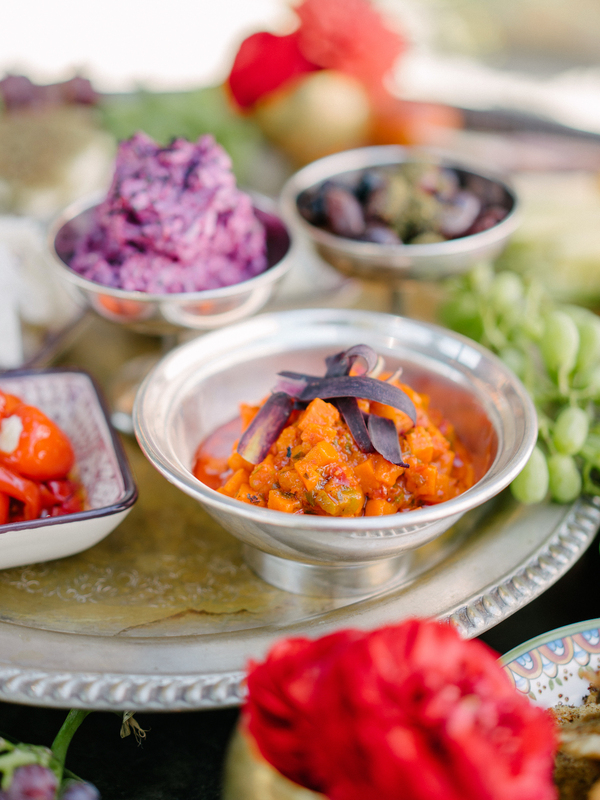 A sumptuous assortment of house made dips and spreads were served at the beginning of our meal. 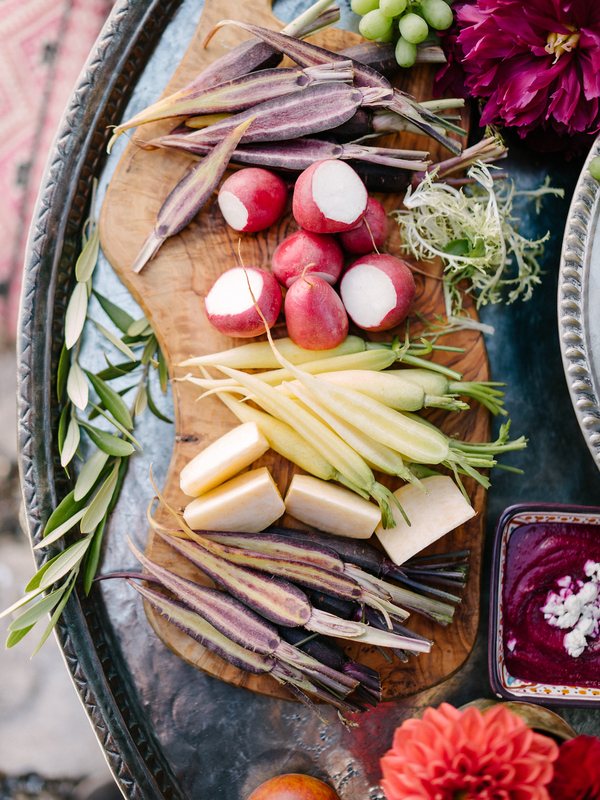 Spiced carrot hummus, a beet and feta spread, and classic hummus were paired perfectly with freshly baked crudités and pita chips. Other appetizers included zucchini cake, honey-whipped goat cheese, crushed pistachios, and pomegranates. The contrast of sweet and savory appetizers excited our palates and gave us a little taste of what’s to come. 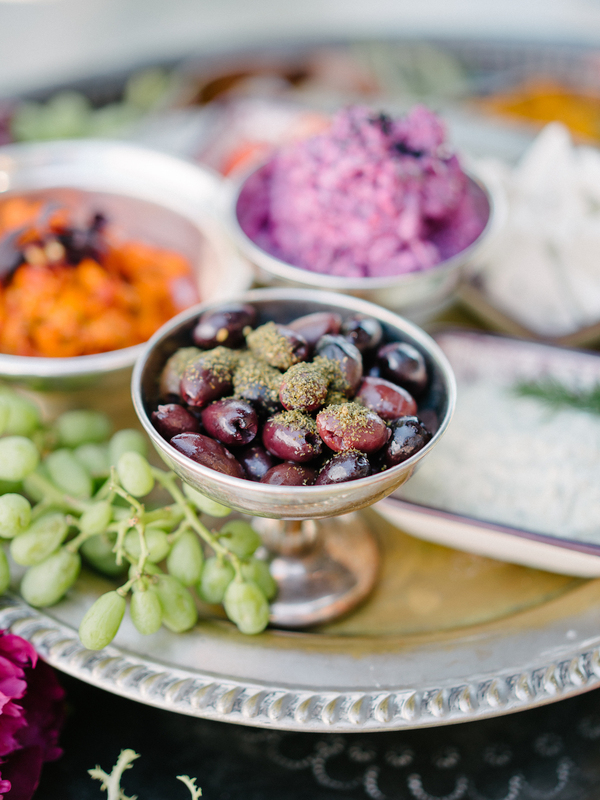 Our mezze platter was garnished with roasted almonds, black olives, and cheeses. Grape leaves stuffed with rice, called Dolma, were the perfect dish to accompany other finger foods. 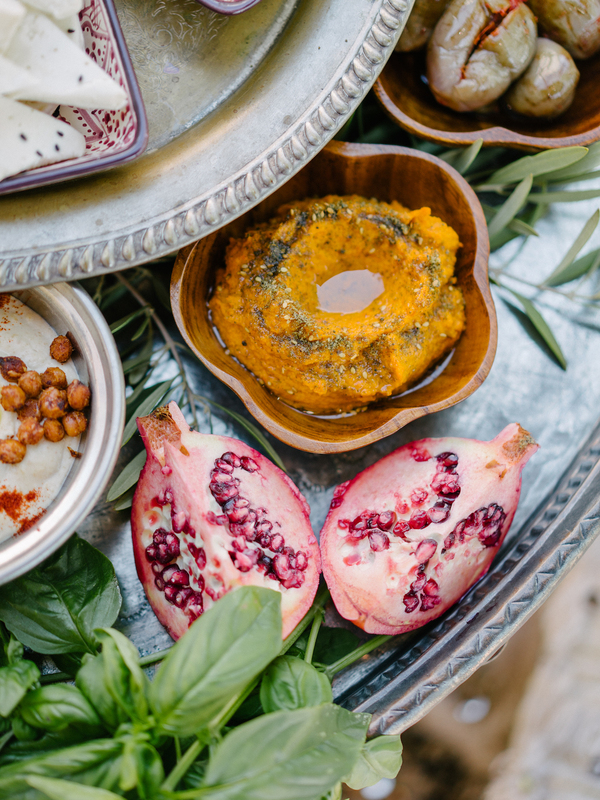 Other Moroccan spices like saffron, cinnamon, turmeric, and thyme were generously sprinkled throughout each dish, filling the space with wonderful aromas. 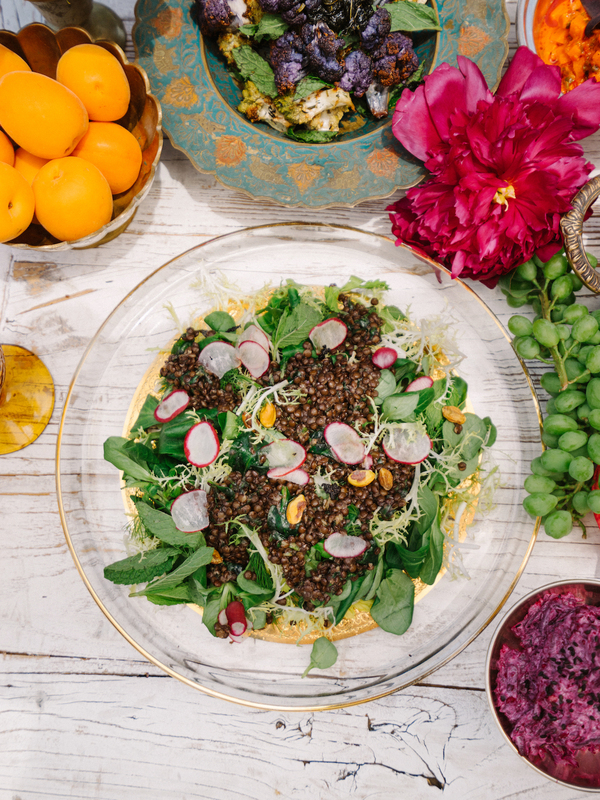 Our main course started with another classic Moroccan salad, made with lentils and mint. 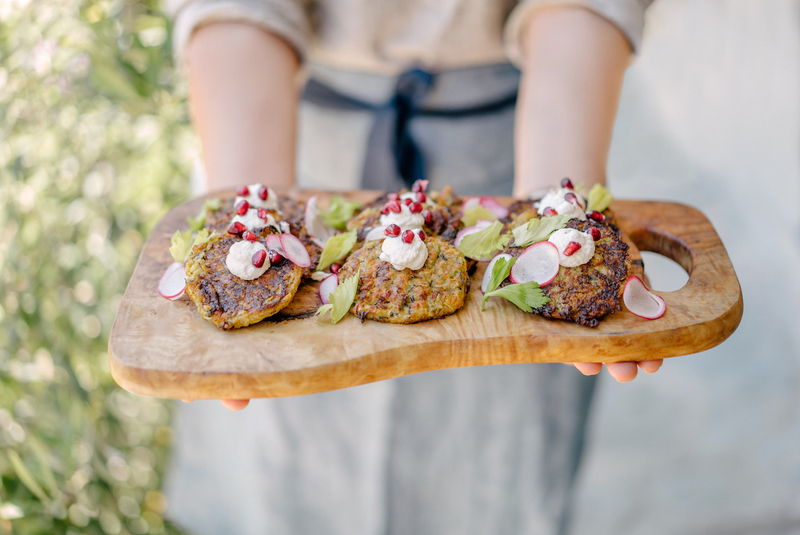 Refreshing, simple, and vegetarian-friendly –it is the perfect picnic fare! You can’t have Moroccan food without having tagine on the menu. Tagine is a traditional stew named after the earthenware pot in which it is cooked. 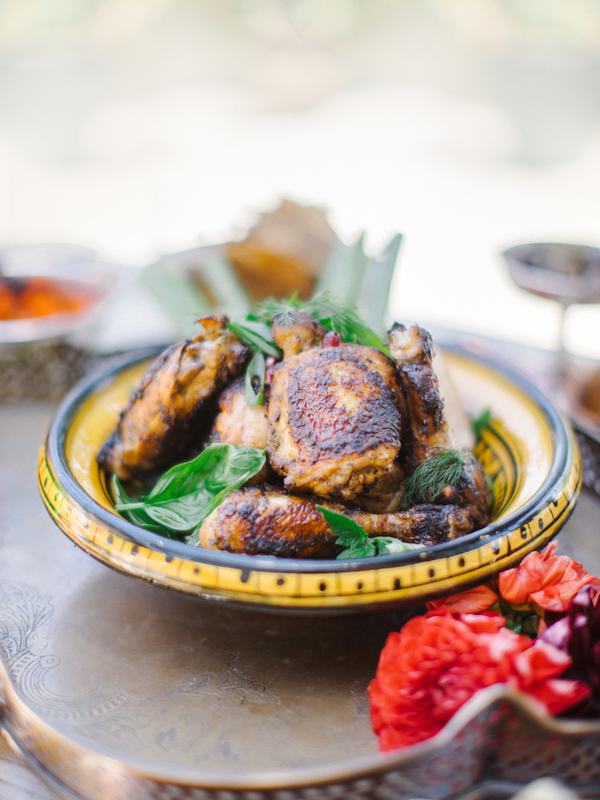 Our dish was served as a family-style main, made with juicy chicken and flavored with lemon, olives, saffron, and turmeric. Another standout dish was the rice pilaf made with dill and currants, served with drizzles of yoghurt dressing. Perfect for soaking up all those yummy sauces! Healthy side dishes like roasted purple cauliflower and Romanesco broccoli tasted great and looked beautiful on the table. Pine nuts tossed with mint, together with roasted chickpeas gave a nice contrast of texture and taste. 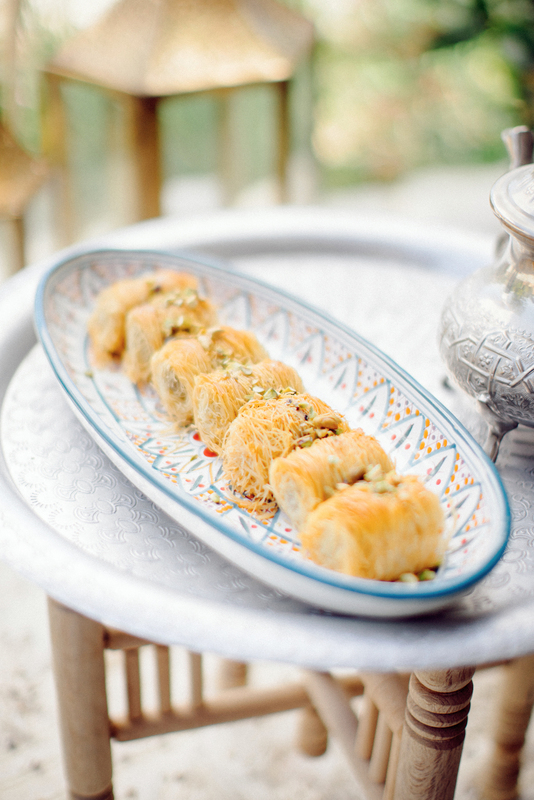 We ended our meal on a sweet note with kataifi pastries. This is a famous Middle-Eastern dessert, made with nuts, shredded phyllo dough, and thick honey, baked until a golden brown perfection. Hands down one of the best kataifi sweets I have ever tasted! 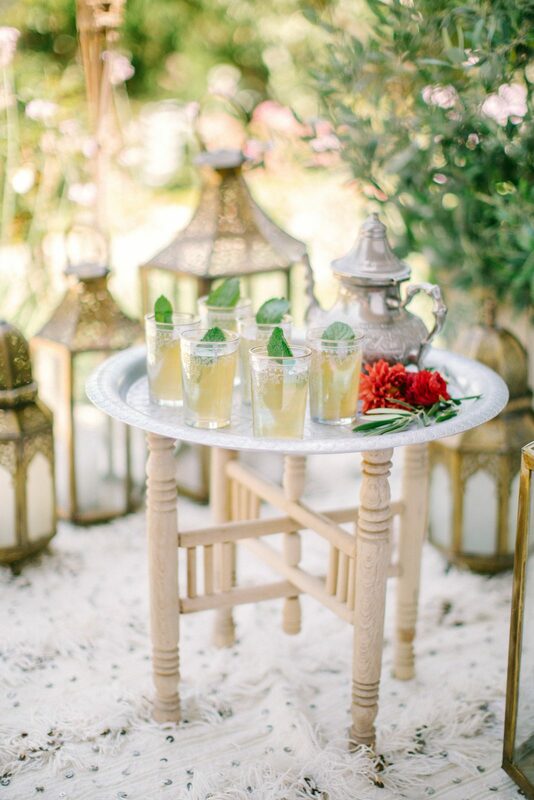 And, we washed it all down with ice-cold, Moroccan mint tea—the perfect drink for hot summer days! This meal was not only picture perfect, but one of the best meals I’ve had. 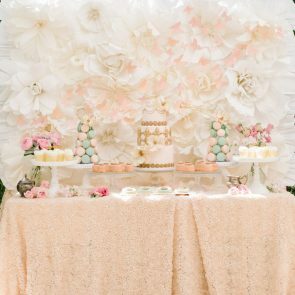 From the decoration to the food, everything about this picnic was amazing and we all had a great time! 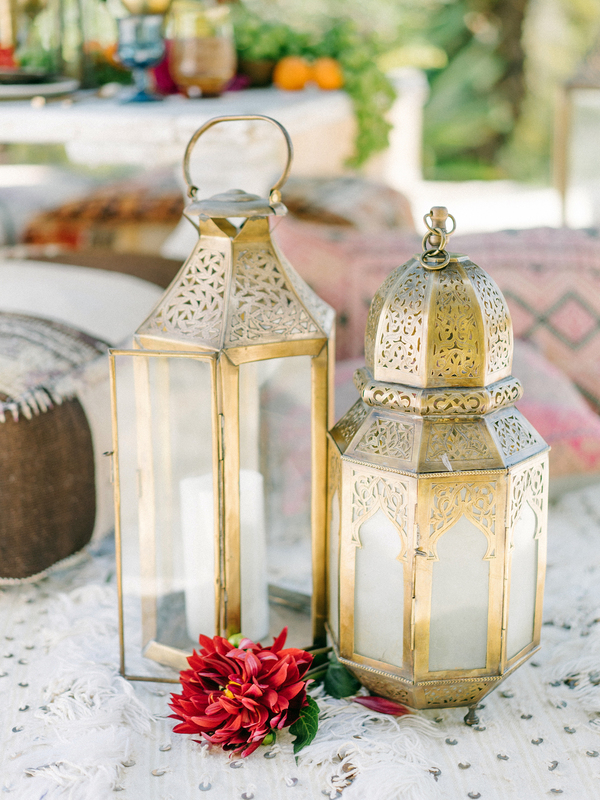 Moroccan magic to your outdoor space!